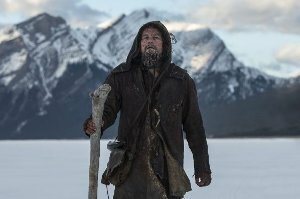 The Revenant arrives with a full bag of awards and nominations, including the Golden Globes for Actor, Director and Film, and 12 Oscar nominations. The director is no doubt hoping for back-to-back Oscars for Director and Film as well. 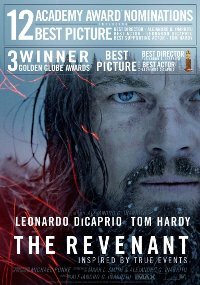 Set in the uncharted American wilderness, a legendary explorer is brutally attacked by a bear and left for dead by members of his own hunting team. In a quest to survive, he endures unimaginable grief as well as the betrayal of his confidant. Guided by sheer will and the love of his family, he must navigate a vicious winter in a relentless pursuit to live and find redemption. This film is releasing in regular and IMAX versions, this is the IMAX version.